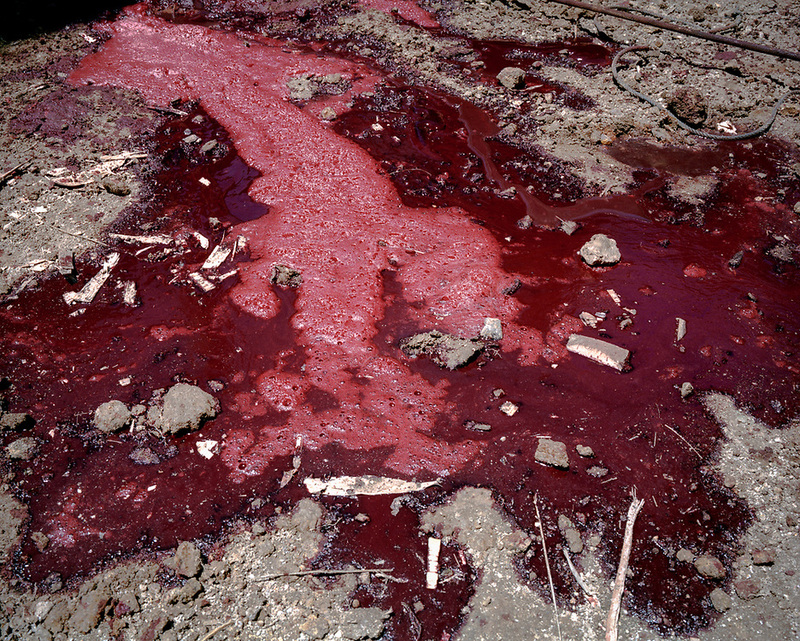 A pool of blood from water buffaloes sacrificed during Rambu Solo Torajan Traditional Funeral Ceremony. The buffalo receives a quick blow with a long knife to the jugular. Ma'nene Toraja Sulawesi Indonesia Death Tradition Ritual Rambu Solo sacrifice.